Andrew here from NextGen Player. 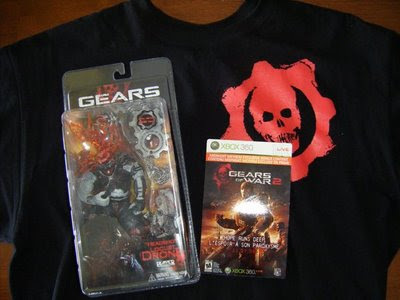 I'm happy to officially announce the Grand Prize winner of our Gears of War Contest. Our winner is Harpreet Sandhu of Osoyoos, British Columbia, Canada. Congratulations to Harpreet and a BIG THANK YOU to everyone who entered and made this contest one of our most successful to date. The NextGen Player team appreciates your continued support of the site. Andrew and the NextGen Player team. Never fear! We will more fantastic contests lined up for 2009, so keep an eye out for more chances to win great stuff from NextGen Player. Congratulations Harpreet, I hope you enjoy the prizes!